one of thees day I'm going to have to look over the time line again. Some tweaks based on all of the above added to the GBI/Fanon Timeline. There's something I broke down and added to the New Timeline and the GBI Timeline that will undoubtedly make some people happy. I won't say what, though--I want to see who notices first. Hi there! I was wondering if someone could answer a quick question. In the timeline it states that after the dissolution of Ghostbusters Inc. in '91-'92 Ray went on to a position as a researcher at Stanford before he blew up the lab, though he clearly states in Back in the Saddle that he was "researching pyrokinesis at a major university in Idaho." Is this deviation a simple derp, or is it intentional? If Stanford is considered correct, why the break from established canon? I'm writing and pencilling (and inking, and colouring) a comic so correct information would be most helpful. I guess you'd have to put that down mostly as "derp" that ran away from me. I started writing the timeline about fifteen years ago, and at that point it was mostly from memory and some incomplete notes. I must have crosswired with Ray's mention of Stanford in the movie. So it wasn't a deliberate change, more of an accidental one. You're right--I should probably get that revised. There's been a few fan fics that have mentioned the Stanford tenure, but I don't know if it was major enough to really disrupt things. If so, I'll leave it as-is on the fan fic/GBI timeline. Thanks for your sharp eye, and welcome to the Ectozone. Ah! Thanks very much for the clarification AND the welcome. Of course, this means I have to revise my everything now. The Timeline section has undergone some updating. The most notable is the New Timeline, which has now been updated up to issue 12 of Ghostbusters Vol.2 with some citations of things up to the current issue; I'm not going to give the "full" treatment to #13-on until the "Mass Hysteria" storyline is finished. When I got into the Ghostbusters online fandom fourteen years ago, the thing that got me noticed--that made the fan fic and everything else seem like something worth doing, that made Ludicris and SpecterHarness decide to invite me into the Ghostbusters West Coast--was the Timeline. At the time, before Youtube and the DVD set, it was about as comprehensively researched as I could manage...and encompassed virtually all of the entire GB lore at the time, this being before the "revival" which made the (to me) dumb decision to jettison 97% of the lore of the franchise to that point. Anyway, that's all over and done and re-litigating it is a waste of time. That being said, over time as Youtube and the DVD set and the GBWiki came into prominence, a few things started to need revisions as more information came to light. Remember the flap about Charlie/Jim Venkman a few years ago? 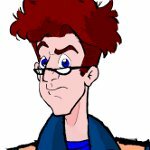 But I think more than anything the thing that really started to bug me was a problem with Extreme Ghostbusters...I'd somehow written myself into the position of having all forty episodes occur in the space of about three months (September through December 1997). That seemed a bit crowded. And more, there were references in the show itself that indicated events that took place throughout the year. So just fix it, right? Not quite that easy, as the characters' birthdates were based on an assumption of age 18 in September 1997 (except Roland, who I set as 19). Numerous references in the Timeline and in Ectozone fan fic were based on those dates. Well, recently I decided I really needed to take that plunge. More than anyone, it was the work of Rosey her brother Jake at their web site that prompted it. She'd done a lot of the work of "spreading" the events of all forty episodes over the course of 1997. I didn't follow Rosey's list 100%--I interpreted, for example, the contradictory dating cues from "Home Is Where The Horror Is" differently than she did--but a lot of it's her work and I credit her appropriately. 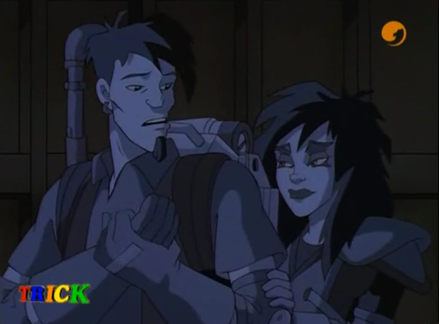 Along with that, all of the Extreme Ghostbusters are one year older. I carried the changes over onto the Ectozone Fanon Timelne, which means that there will inevitably be some in-story references I will have to revise, but I think this is a change that, in the long run, it made sense to make. While I was at it, I ran both Timelines through a spellcheck--so there's a lower number of dumb spelling errors than before. I was just inspired to have a read-through of my reasons for arranging my episode chronology as I did. Very interesting to look back on - they range from dates on calendars, one in particular being very specific, to things like 'It's pretty sunny', and then of course I had to work out all that in-show continuity. I certainly wouldn't want to do it again! Jake and I both saw this post on the day of posting, and I was too much just home from work to think of a response, but evidently not too much to spruce up our own timeline. I was at the controls, and Jake was consultant, as we found a few images for decoration and gave all the characters either a first mention or first appearance (some with links to on-site fanfics, such as Jessica Venkman). It was something I'd had in my mind for a while (in case anyone stopping by wondered, for example, who the hell Alejandro 'Jandro' Smith was), and seeing this post made me speak the thought out loud. Jake thought it was a stroke of genius (at least, he definitely used the words 'good idea'). How wonderful, Fritz, that we have inspired each other. I was debating with myself whether to bother mentioning this, but I think I will. I couldn't find any mention in your timeline of 'Home Is Where the Horror Is' (that one I knew would be really problematic ) - what is your interpretation? After all, the 'demon feast' she talks about would not be well placed in the night with the fewest hours of darkness, and as Jake points out, Frankie and Len are hardly likely to be selling candy for their school in the dark if it's June. I admit, I had to think about the candy issue...you raise some very good points. I guess it still felt more "right" to go with summer, because it coincides with the airdate and production order a little better than winter, but freely agree that your answer may be better. Well, I finally found it (though not via the link you provided, Fritz ) whilst looking up some dates for inspiration in our timeline (we've put in some details of the Wallance family), and in fact I have been forced to make a change in my EGB episode chronology. So college football season is in the winter, is it? I wouldn't have a clue, but nor would I just take a stab at it. Thinking about it, I had an idea that Jake told me it was the summer and I blindly believed him, but then when I mentioned this just now he pointed out that I'd said he hadn't helped me with the timeline at all, and in fact I did say that (and apart from the football thing, it's true, so there). But then he said (just now) he'd thought the Superbowl was in the summer (which it isn't - I looked that up too), so in fact I did get that piece of information from him. But of course it's my fault I didn't check my facts, whether I asked Jake first or not. Anyway, the result of all this is that 'Witchy Woman' is now episode 4, taking place in January (January and February were both already pretty weighted, but I figured it was okay to add one to January since 'Darkness at Noon' is one story). I also added to my note the same basic idea that appears in Fritz's notes, that placing the episode early makes it less potentially damaging to Eduardo's relationship with Kylie, and this inspired me to add to the timeline that Eduardo was going out with Bess from then until May (where I had the episode originally) because reading through my chronology up to that point, there's no real development in this relationship until then - for in May I have placed 'The Unseen'. I figure Eduardo decided to call it a day with Bess when he and Kylie really started to make a connection in that episode - and, credit where it's due, I did discuss this with Jake and get his help. I also put in a brief mention of Garrett's laptop in 'Grease', but didn't move the episode. I completely missed that one. I just discovered that Annie Potts is playing the part of Sheldon's grandmother in Young Sheldon. I thin we have to name on of the grandkids Sheldon now! Maybe JCs son... Sounds kinda British, don't you think? Sheldon Albus Spengler.